South Carolina, more profoundly known as The Palmetto State, is mildly populated, but is one of the small states of US nation. It was one of the earliest states to be admitted in US union and marked its US constitution on 23rd May, 1788. South Carolina has focused its economy on various industries such as Agriculture, Textile, Chemical, Machinery, Paper and Automotive Parts. It has high education standards and is the home to nation’s first ever municipal college i.e. College of Charleston. South Carolina is not amongst the healthiest states of US nation. Health status is poor and is reviving from its old downfall and digs. 2.6 physicians per 1000 persons (this is the health service status in South Carolina). South Carolina Board of Nursing has taken various steps for improvement of health services in the state. What is South Carolina Board of Nursing and what are its responsibilities? South Carolina Board of Nursing is the administrative board and council that regulates and enforces public safety and welfare by promoting efficient and legal nurse practicing in the state. Board is an integral member of NCSBN and follows various guidelines specified in the Nurse Practice Act. There are various general assembly laws, which must be followed by each and every professional licensing board in state. SCBON has various responsibilities such as Licensing, certification, and renewal of various nursing professionals. The Board establishes standards for various nurse assistants and prescribes essential Curricula for training programs. SCBON investigates any registered complaints and acts against the guilty professionals. It reviews the nursing programs and training schools. Enforcement of nursing and administration laws and maintaining various board records and annual scripts are also essential board responsibilities. Who are the current Board Members and their respective contact details? 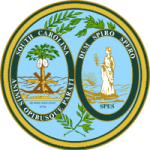 The State Board of Nursing in South Carolina works directly under the South Carolina Department of Labor, Licensing and Regulation. The Board Members are elected by the state Governor after counseling with the Senates of South Carolina State.